Elizabeth Percy, Countess of Essex (b. 1639 d. 1718) was the daughter of Algernon Percy, 10th Earl of Northumberland and his first wife, Lady Anne Cecil. After the death of her brother in 1670 Elizabeth became the principal adult representative of the Percy Family. Elizabeth married Arthur Capel, 1st Earl of Essex, on 19 May 1653. Elizabeth and Arthur had six sons and two daughters, of whom only two, Algernon and Anne, lived to maturity. 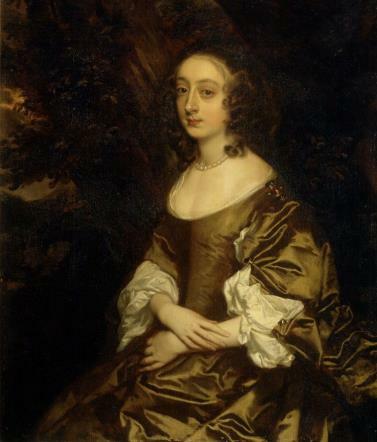 Elizabeth was described by John Evelyn on a visit to Cassiobury in 1680 as a “wise, yet somewhat melancholy woman, setting her heart too much on the little lady her daughter, of whom she is over fond”. For more information on the Capel family please visit the Cassiobury Gallery at Watford Museum. This page was added on 17/11/2017.